Chips and salsa for dessert? Absolutely, at least when it's this sprightly fruit blend with peaches, apples, and hints of orange, ready to scoop with cinnamon-scented tortilla crisps. Preheat the oven to 200°C (180°C, for fan assisted ovens), gas mark 6. Lightly grease a large baking sheet. Mix the sugar and cinnamon together in a small bowl. To make the crisps, brush both sides of all the tortillas lightly with the water then sprinkle the cinnamon sugar mixture over both sides. 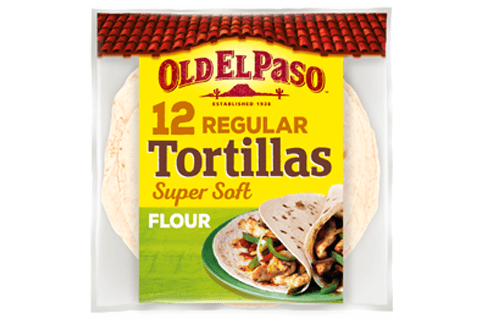 Cut each tortilla into 8 wedges and place on the baking sheet. Bake for 5-7 minutes or until light golden brown, turning once. Transfer to a wire rack and leave to cool completely. Meanwhile, make the salsa. Squeeze the juice from one orange and peel and finely chop the flesh of the second orange. Place the juice in a medium bowl and stir in the sugar until dissolved. Add the chopped orange along with the apple, strawberries and peach and mix well. Serve with the cinnamon crisps. 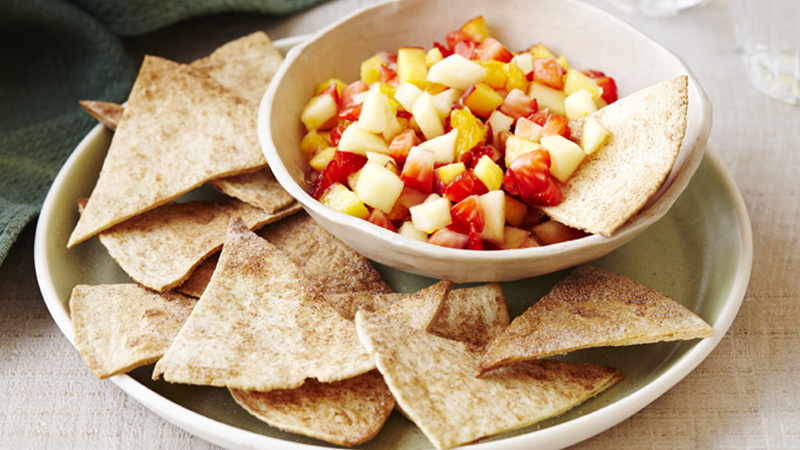 The fruit salsa also makes a great topping for vanilla ice cream, add a couple of the cinnamon crisps to turn it into a fruity ice cream sundae! To peel the peach, plunge it into a bowl of hot water for a few minutes then transfer to a bowl of cold water for a minute – the skin should then peel away easily.